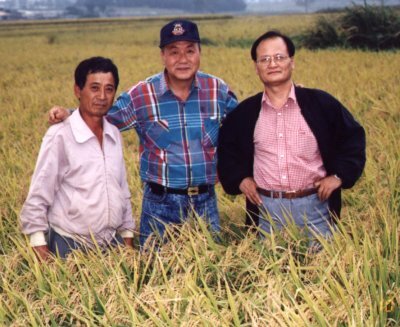 Rice is to Korea what corn is to Kansas: it's a symbol of agricultural prosperity. But it's much more, it's also a symbol of national security. 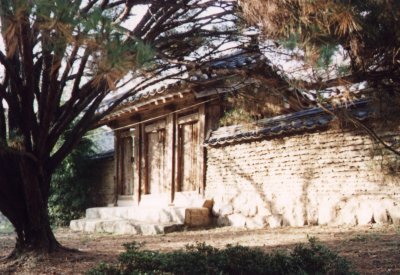 Traditionally full graneries meant Korea was strong, and that belief persists to this day. Korea is a manufacturing power house, but rice more than oil is the concern of it's heart. These fields are south of Suwon in Kyonggi province. It's autum and rice is not the only crop grown in Korea. 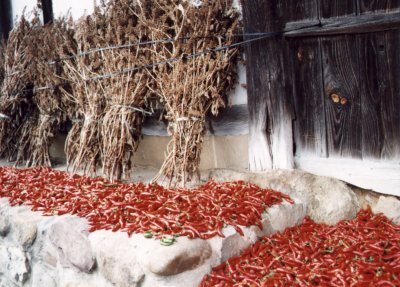 Peppers, herbs and dozens of other vegetables grow here. Peppers are the most photogenic. 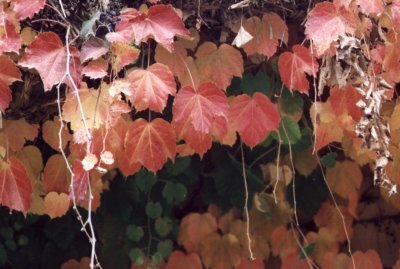 These are growing at Hahway village near Andong. Hahway is a very traditional village in a very tradtional part of Korea. 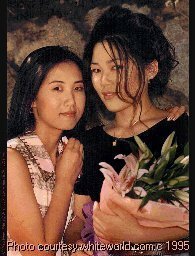 But Korea is also new, and the new part is just as interesting. 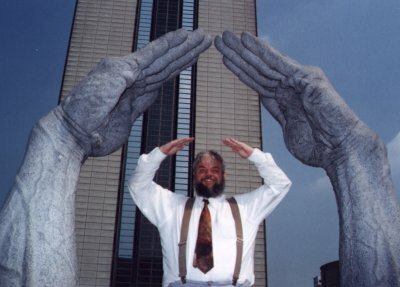 These hands are in front of Korex, Seoul's convention center. I got there several times for computer shows on graphics and The Internet. Korea is also road building like crazy. It needs to, Korea has five giant companies building cars for Koreans, but only one government building roads. Maybe that's why the roads are so crowded? Traffic jams seem to be one of the curses of prosperity, they are terrible, but the alternative is worse. 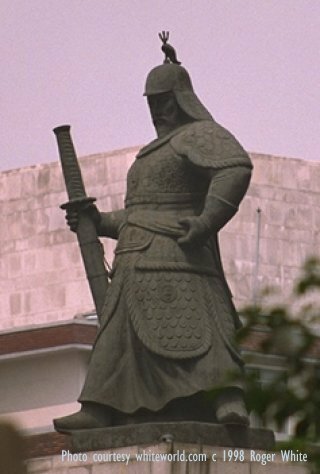 This is Yee Sun-shin, famous for being a big man that carried a big sword. I don't know if he walked softly or not, but by the end of his career the Japanese sure trembled when they heard he was coming. He won battle after battle against superior Japanese fleets that were supporting a Japanese invasion of China in the late 1500's (via Korea, as is customary). Without fleet support the Japanese armies ground to a halt in mid Korea, then later withdrew. Yee Sun-shin is sometimes credited with developing the first ironclad vessel. This is isn't true. He developed the "turtle ship" which is a "woodenclad". It's an oar-powered vessel with a wooden, spike-filled cover over the main deck. It looked like an ironclad, fired cannon like an ironclad and rammed vessels when it could. But it wasn't built of iron. I had a chance to tour a replica when I visited Yosu on Korea's south coast. It was fascinating to see how much it was optimized for close engagement. It was not seaworthy and had no hold or cargo bay. If the Japanese did not come to it, it wasn't going to fight. There are all sorts of oddities about Yee Sun-shin and his career. In a culture where sea always supports land, not vice versa, he made his fame as an admiral. In a culture of traditional values he was a tactical and technological innovator. In a culture of intrigue he was a straight talker. 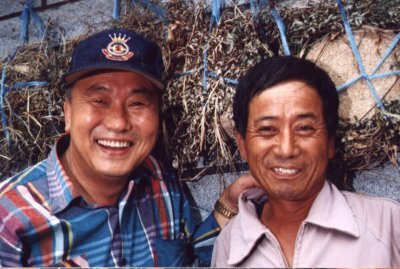 As a result a large number of "Yee Sun-shin stories" have grown up around the man, and he is now a major Korean legend. That's about all I have for you this time. Here are some nice good-bye shots.